The latest take on the brand staple. Ever since Off-White™ was founded, the label’s horizontal line Industrial Belt has served as a staple item for both streetwear and fashion fans. Revisiting the statement accessory, Virgil Abloh reworked the belt by stripping down the design for the new piece. 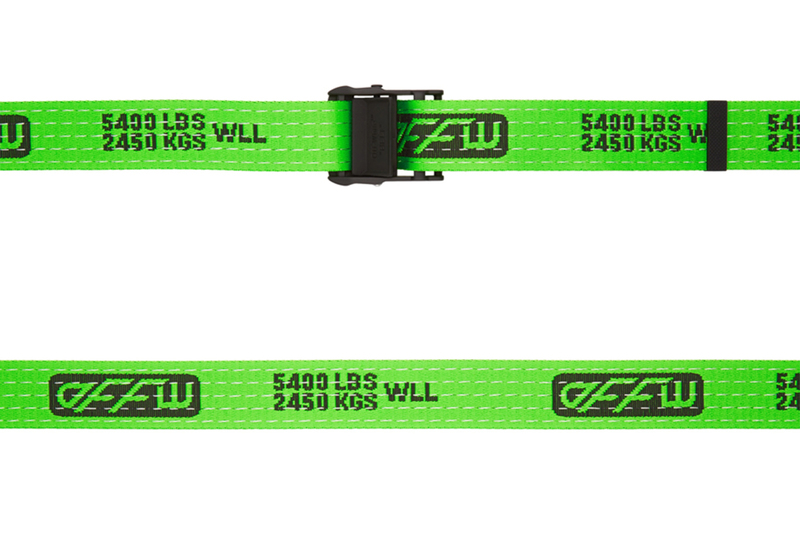 Now available in bright green, the Off-White™ New Industrial Belt features a nylon webbing design closed with a rugged topstitching and dressed with a contrast specification pattern, woven throughout. Finishing off the new accessory is a logo appliqué and engraved hinged-cinch to go along with the black hardware that’s attached to the belt. Priced at $265 USD, Off-White™ Green New Industrial Belt is available now at SSENSE. For more contemporary fashion, Off-White™ recently released Édouard Manet painting outerwear for Resort 2019. Showing his love for Balenciaga’s Triple S sneakers. Juice WRLD Gets Playful on New Track, "Armed And Dangerous"